In the summer of 2012, an effort began to develop the adventure activity of rock climbing at the gorge known as Charaka. 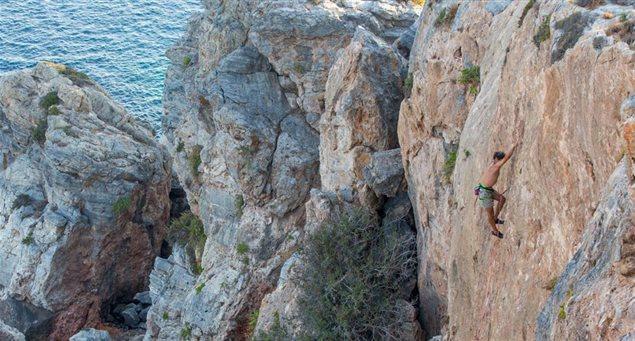 Since then 40 climbing routes have opened at various levels of length and difficulty. The rock surface of limestone is sharp and varies holes depending on the route and consists of some loose areas in which climbers should be careful and proceed with caution. The activity has shed light on the natural beauty of the gorge such as the forest and the areas known as the tunnel (metro) and the balcony (casino) with views of Tsigouri beach and the islet Fidou.